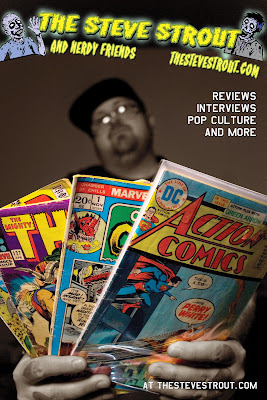 One of the fastest growing comic con's in the Northwest, the Jet City Comic Show, is a couple weeks away, and we managed to get this great preview interview in with comic artist, Jeremy Colwell. Jeremy is best known for his work on the Batman/Teenage Mutant Ninja Turtles crossover series earlier this year. Hope you guys make it to Jet City comic Show on November 5th and 6th. Enjoy this introduction to featured show guest Jeremy Colwell! TheSteveStrout: First off, congrats on the Thundercats/Masters of the Universe gig with Freddie Williams. 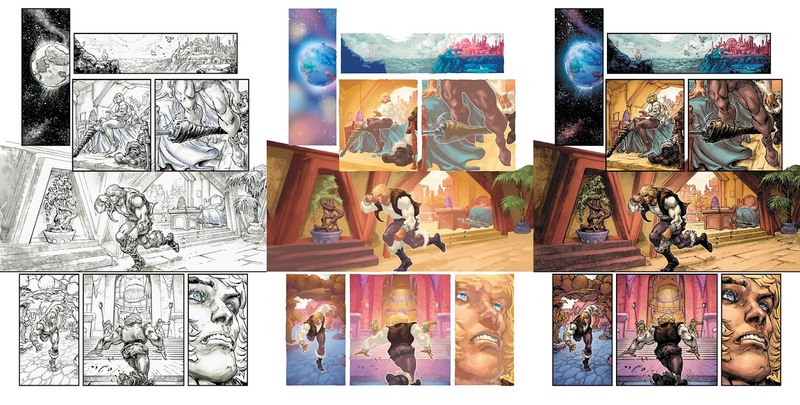 Sample pages online look amazing. When is the release date for the series, and is it a short run or are their plans for ongoing? 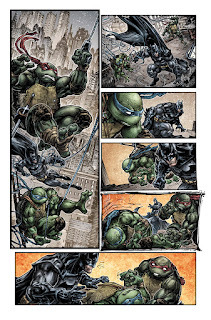 TheSteveStrout: As I mentioned, You're paired with Freddie Williams, who you worked on another crossover series this year (of near and dear to my heart franchises), Batman and Teenage Mutant Ninja Turtles. Do you feel more pressure on yourself working on these series' a lot of us grew up loving? Jeremy Colwell: I grew up watching He-Man and Thundercats on TV so I’m right there with you as a fan. 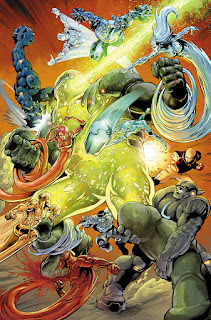 There is a lot of pressure to perform and create something fans of both properties and new readers will enjoy. Being able to contribute to the legacy of these characters is a huge accomplishment for me and I still can’t believe I’ve been granted one of my childhood wishes. TheSteveStrout: Staying on the beloved franchise crossover topic, what are some other series you'd like to see happen, and would love to work on? 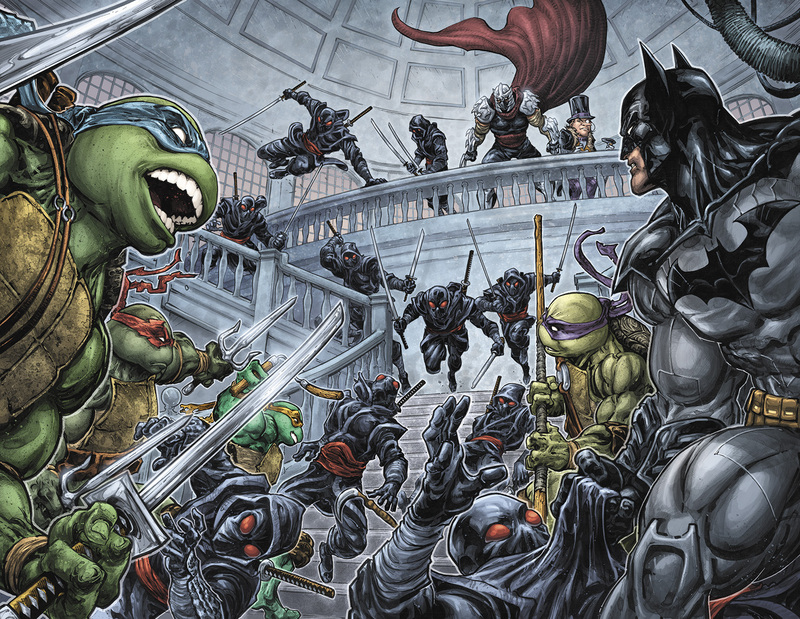 Jeremy Colwell: My top pick would be a sequel to our Batman/TMNT series. That was one of the greatest creative experiences of my career. James Tynion IV, Freddie, and editor Jim Chadwick made my life a dream during that run. I’d love to work on a Robotech/Voltron crossover! 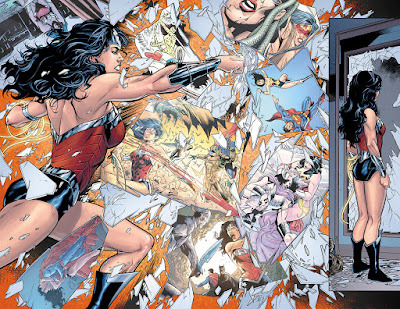 TheSteveStrout: Tell us a about your background in art and comics. Jeremy Colwell: I was always an artsy kid. Picture Pages tv show is one of my earliest memories as well as a thick DC Superheroes activity book. My first comic was Avengers #261, bought for me by my Dad from a 7-Eleven spinner rack. Then I was hooked. I didn’t really take official art classes until my Senior year of high school since I was in multiple bands and that took all of my electives. I then hit college hard, getting a full ride for art to my local community college before going on to UW to get a BA in Interdisciplinary Visual Arts with Emphasis in Painting (and loans I’m still paying 20 years later. L ) Lots of life drawing, painting and color theory. I got married right after college and had a son right after that. So I got a “real” job at UPS doing business development in Portland. I quit that after two years to be a stay-at-home dad. Had a second son a few years later and then, once they were old enough to be in school full time, my wife and I decided I should look for a job. I met some great folks at what was then Mercury Studios (Helioscope now), started getting inking work then moved to colors after some dry spells. The rest was a relatively quick and smooth climb from Indie presses to DC. TheSteveStrout: What are some of the other comics you've worked on? 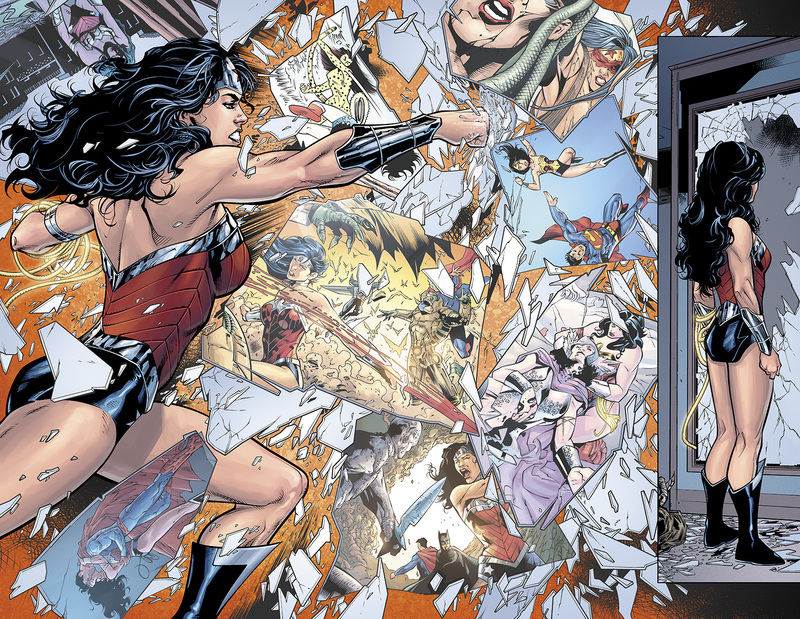 Jeremy Colwell: A full listing is online here: http://www.comicbookdb.com/creator_chron.php?ID=6252 but some of the highlights are obviously Batman/TMNT, Metal Men, Wonder Woman Rebirth, Trekker, and Powerpuff Girls. TheSteveStrout: Who were and are some of your inspirations in comics? Jeremy Colwell: It;s odd, because I’m so much about realism and rendering, that I’m drawn to very graphical artists and minimalist colorists. Mike Mignola is my favorite line artist and Dave Stewart rules my color world. Others I look up to are Laura Martin, John Rauch, and Matt Hollingsworth. TheSteveStrout: Back to books you would like to work on. What's a dream comic you'd like to contribute to? Jeremy Colwell: Anything Batman, but I’d also love to get my hands on some Marvel characters like Iron Man, Captain America and Wolverine. TheSteveStrout: Jet City Comic Show is right around the corner, where you'll be a featured comic guest this year. What are you gonna be promoting at the show? Jeremy Colwell: I’m still so proud of Batman/TMNT that I will promote that until people get tired of hearing about it. 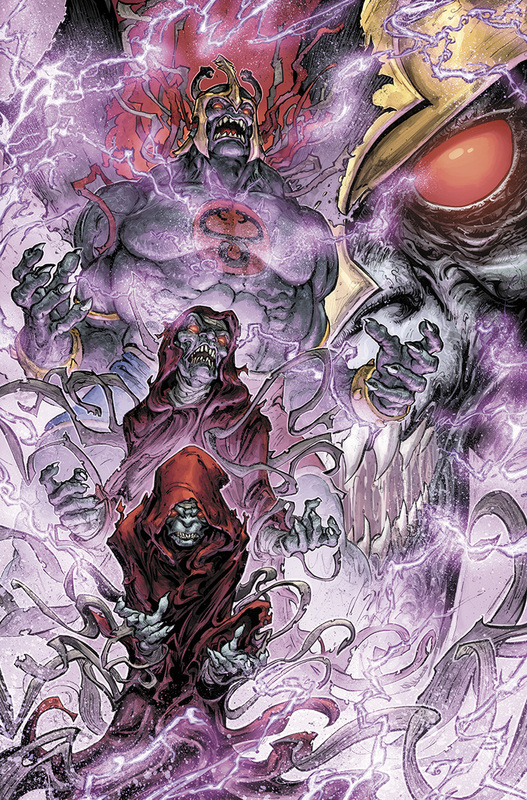 He-Man/Thundercats #1 is out so I’ll show that off. I also have a limited variety of prints available for purchase. TheSteveStrout: Where can you be found at Jet City? Jeremy Colwell: I'll be at Table AA-96. I have a stand-up banner finally, so look for me somewhere with a big Batman/TMNT behind me! TheSteveStrout: The Northwest is full of amazing comic creators, such as yourself, giving these great conventions almost a hometown con feel. Any thoughts on that, and what do these area conventions mean to you personally? Jeremy Colwell: I only do Northwest shows. Some of that is financial, some is my dislike for flying, and some is that I call the area home and I’m proud to be a local artist. People, especially kids, get a thrill knowing that someone local “made it”. It makes it real to them, like it did for me when I met comic pros. I’m like seeing that spark. TheSteveStrout: Do you see the conventions as all business, or do you take in some as a comic fan still? Jeremy Colwell: I try to stay at my table as much as possible so as not to miss anyone who wanted to meet me. My job there is to give fans the best experience I can. And I love it. I try to create fan time before the shows, going around and meeting folks I’ve long admired or even just looking at what others are creating. I also try to shop for my boys and wife to bring them something fun back from each show. 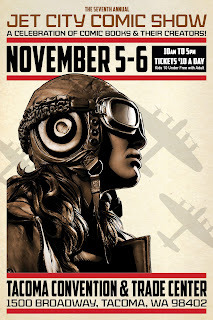 TheSteveStrout: What are you looking forward to at Jet City Comic Show? Jeremy Colwell: The fans. I lose my voice near the end of even a two day show because I spend so much time talking to people. After the show I always try to hang out with pros and fans alike at the bars or whatever to really immerse myself in the culture since I work alone so much. It’s exhausting but an amazing experience, too. I come away from each con with a burst of energy to make comics for fans. TheSteveStrout: What's next for you? Any new projects or appearances you can talk about? Jeremy Colwell: Nothing I can talk about yet, but I’ve got a lot of irons in the fire! TheSteveStrout: Is there anything you'd like to add? Social media links? Advice for others who aspire to make it in comics? Jeremy Colwell: After reading all of those replies I don’t think anyone wants to hear me talk more. But if you want to know more about me and/or interact with me online I’m on Facebook, Twitter, Tumblr, Instagram, Reddit, and YouTube. I use my real name for all of those, so just type me in the search box and find out all and more than you ever wanted to know. TheSteveStrout: Thanks for the time , sir. Look forward to meeting you at the show. Jeremy Colwell: Thanks for asking me to do this. See you at the show! As always, thanks for reading. I'm hoping to have another preview post up before Jet City Comic Show. Hope to see you there.....And be sure to get in touch if you'd like to contribute to this site! !